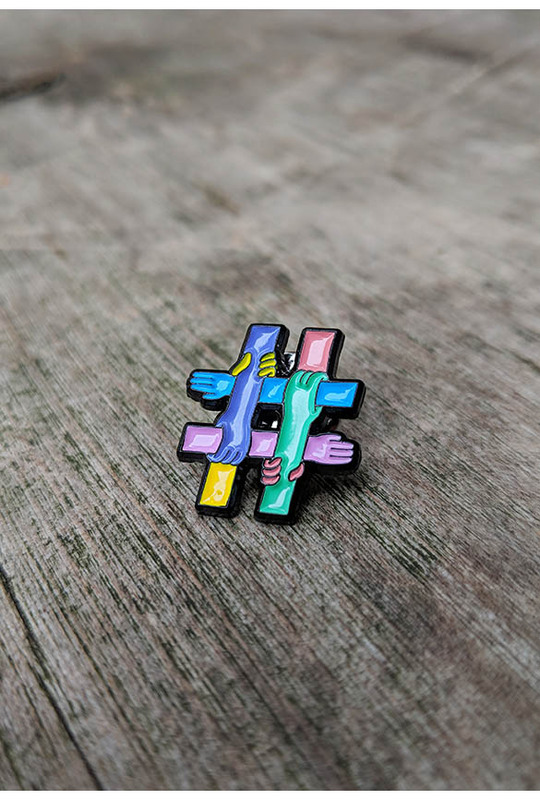 Ending Bullying takes more than one person. Written by Carson Ting. Posted on June 7, 2018. Filed under Drawings, Blogging. 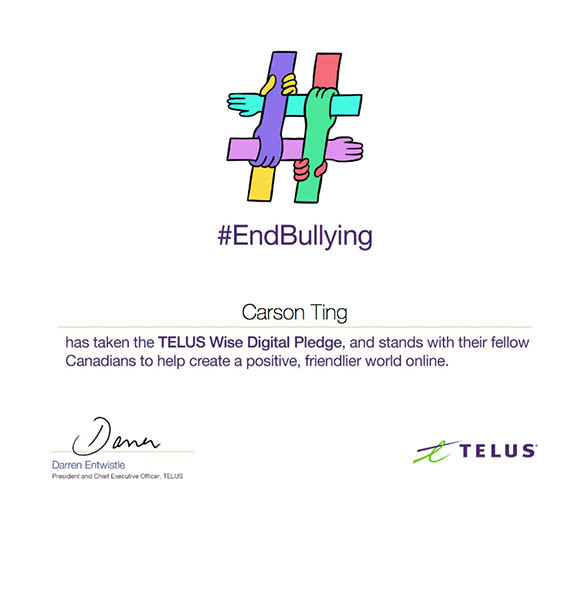 Tagged antibully, endbullying, telus. 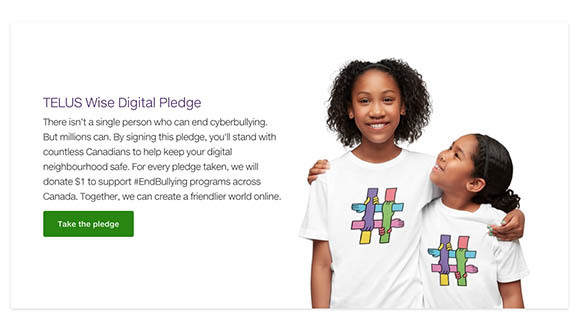 Comments Off on Ending Bullying takes more than one person..
We’re really proud to be part of this meaningful project to help #EndBullying – A campaign for Telus in an effort to raise awareness and empower youth and put an end to cyberbullying. 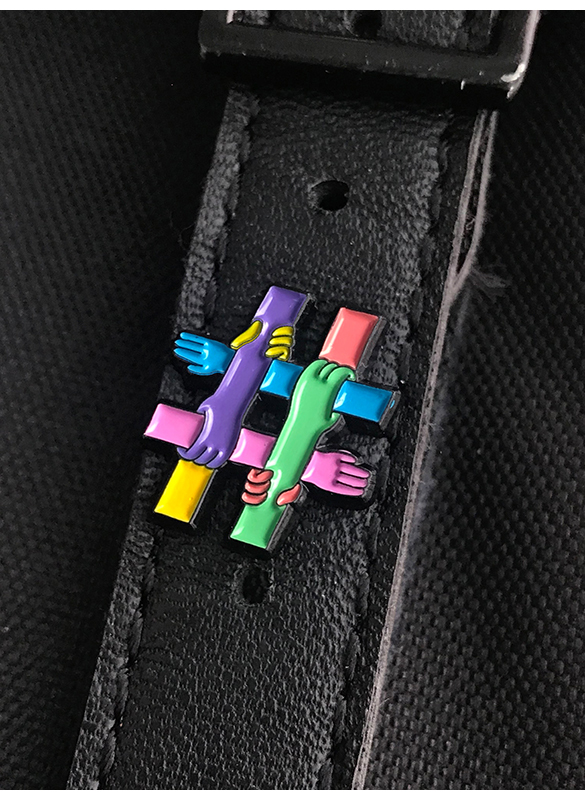 Take the pledge online here. 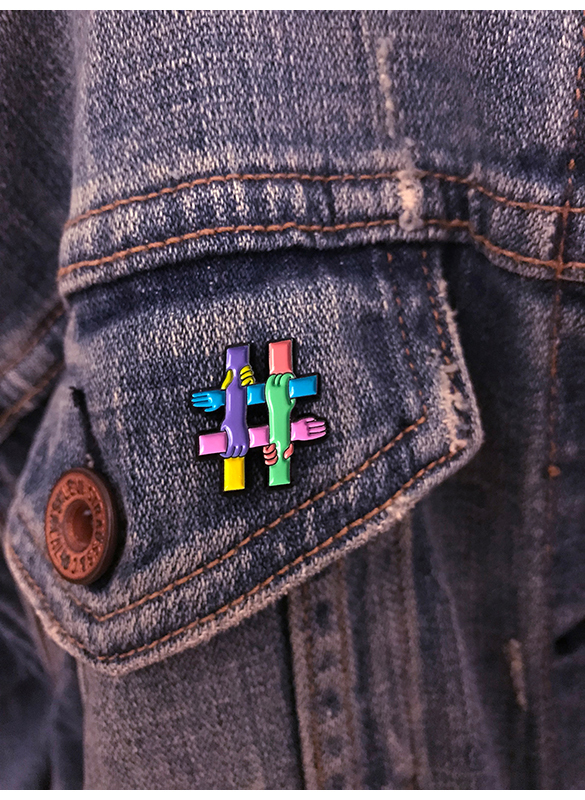 This enamel pin is one of many parts to this campaign. 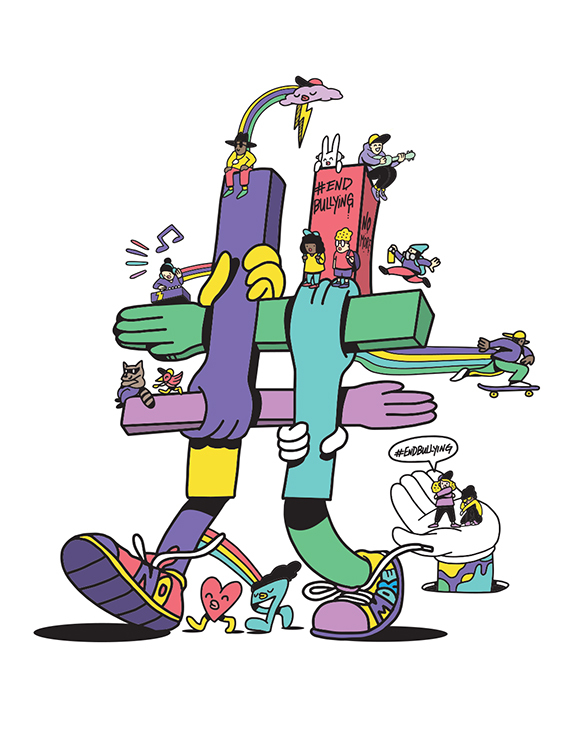 Design by Kammy Singh Creative Direction by Noreel Asuro Agency by The And Partnership Illustration by yours truly. 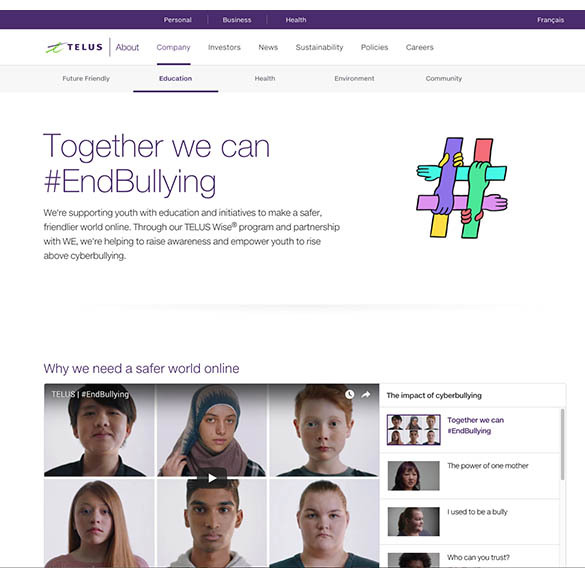 Here are a few screen grabs from the Telus site.